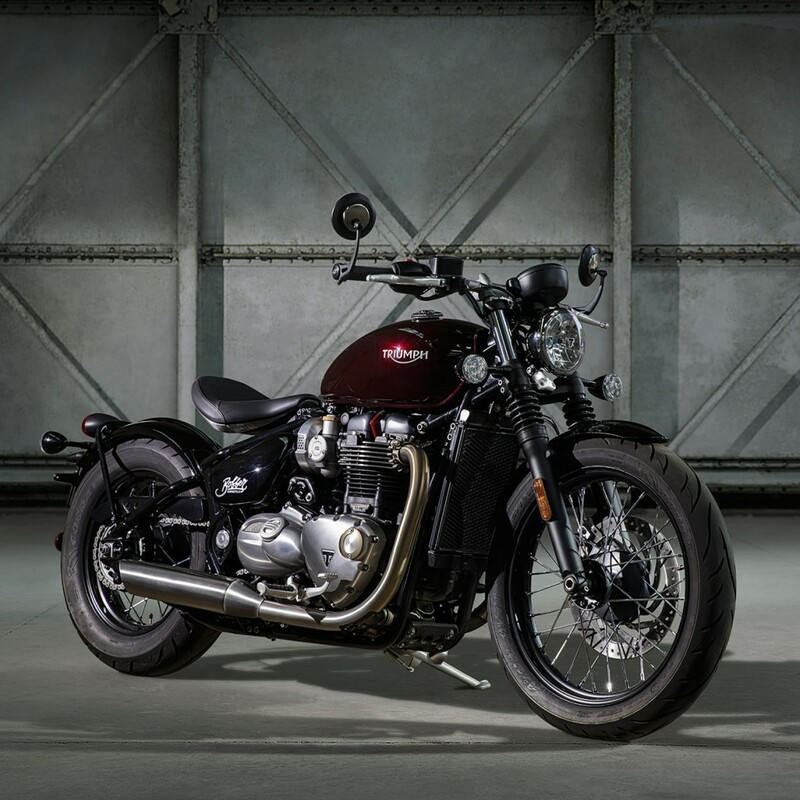 Triumph Motorcycles recently launched the much awaited Bonneville Bobber in India for INR 9.09 Lakhs (ex-showroom Delhi). 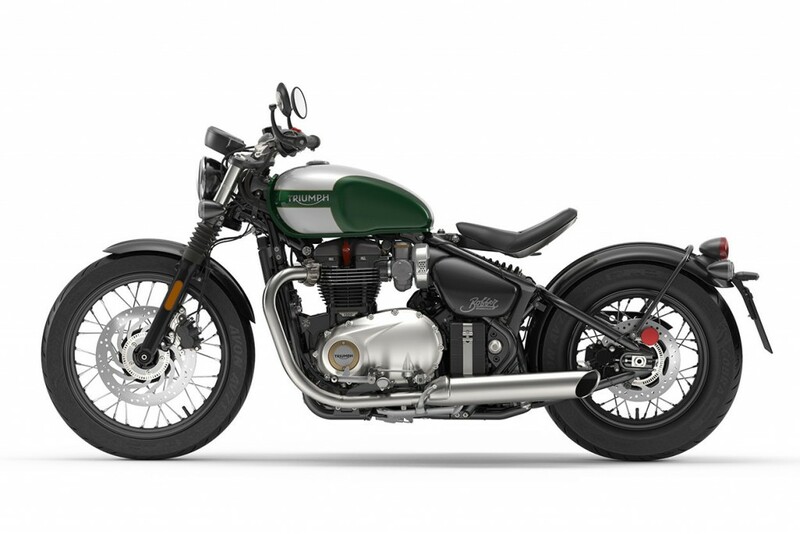 The motorcycle is third in the lineup to use the massive 1200 cc engine while in total, it claims to be the fifth member of Triumph India’s Bonneville range. It claims a totally different spot in Indian motorcycling segment as only modifiers were making bikes like this till this date in the country. 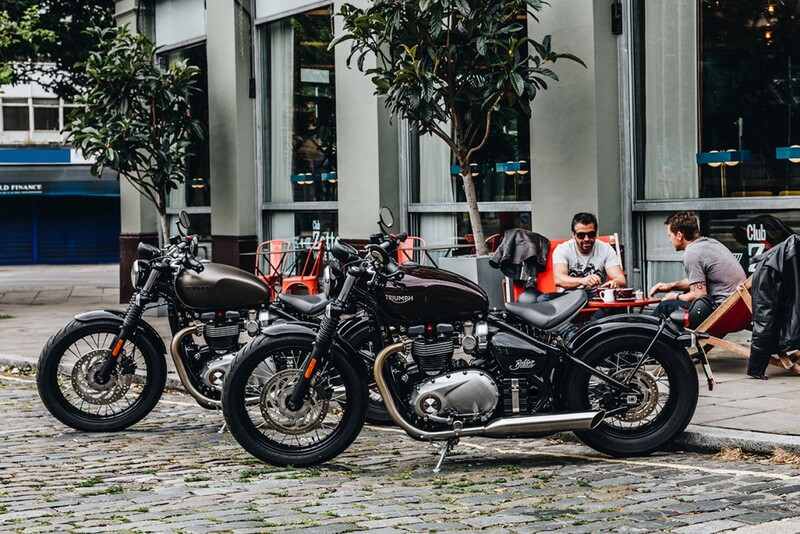 The introduction of Bonneville Bobber may help people get the custom bike look from the stock version itself. 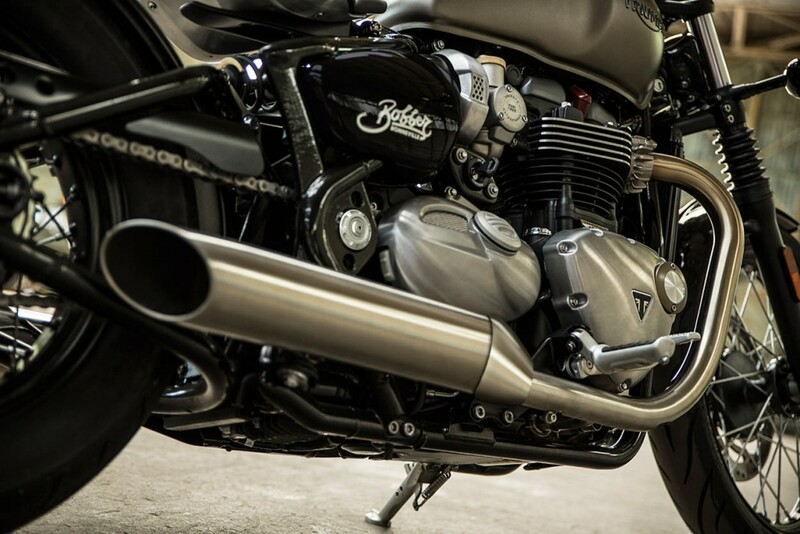 Bonneville Bobber is powered by a 1200 cc, liquid cooled parallel twin cylinder engine that is good for 77 PS at 6100 rpm and 106 Nm at 4000 rpm. It comes mated to a 6-speed gearbox with slipper clutch, making it easy for rider to drive during heavy traffic and highway chases. It uses 2 into 2 chrome silencers that looks amazing with the body design. 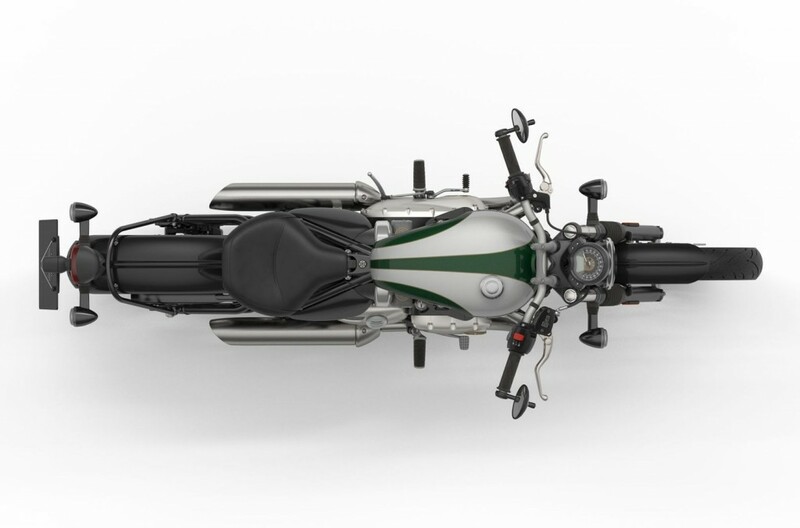 The typical Bonneville fuel tank is placed over a slightly longer motorcycle, carrying bigger 19 inch wheel at the front and thicker 150/80, 16 inch wheel at the rear. Triumph offers wired wheels with 32 spokes on both the ends. The front KYB suspension is 41 mm in diameter, offering a max of 90 mm wheel travel while KYB Monoshock for the rear offers just 76.9 mm of wheel travel. 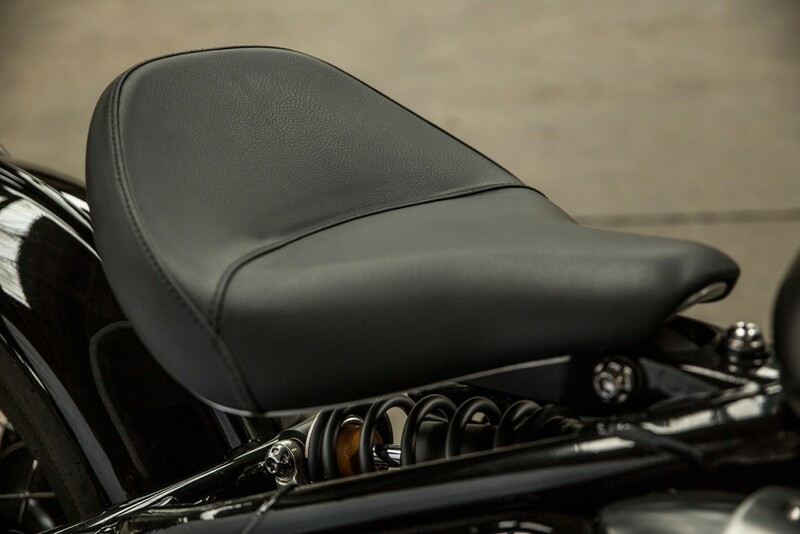 Bonneville Bobber comes with 310 mm front and 255 mm rear disc brake with standard two channel ABS on them. The typical Bobber design took its wheelbase to 1510 mm while added frame raised the overall weight to 228 kg (dry). On the other side, the fuel tank used here carries just 9.1 liters of capacity. 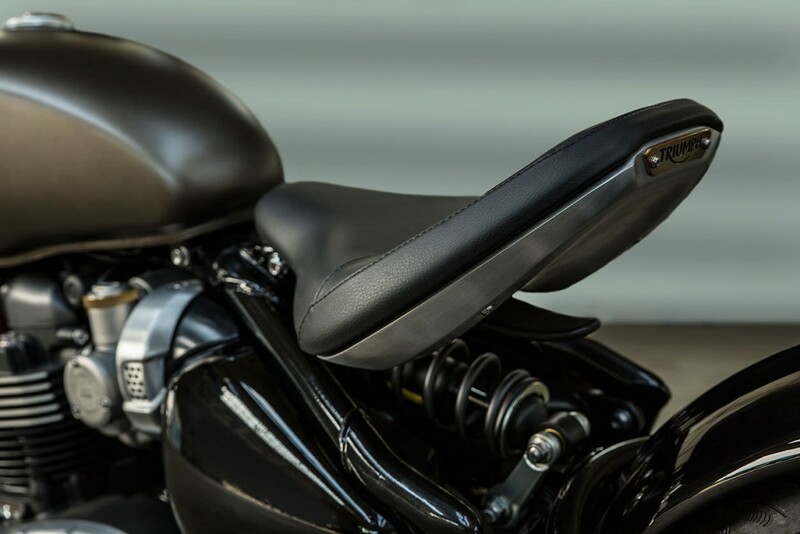 Apart from all these facts, the low 690 mm of seat height makes it good for riders with average height. 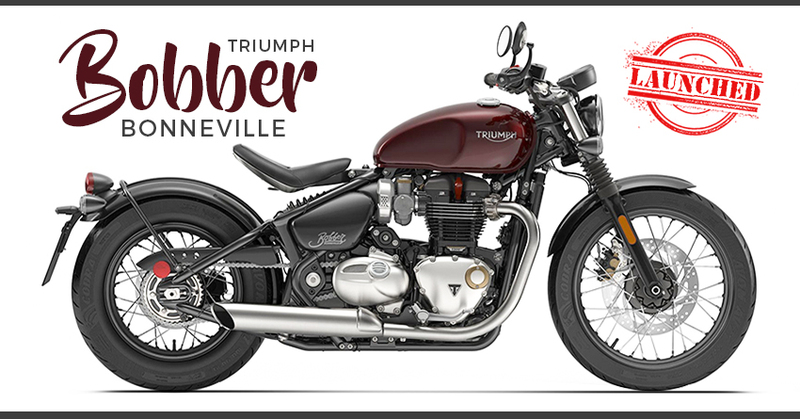 Triumph claims 24.3 kmpl of excellent mileage for the Bonneville Bobber. The low stance and floating seat design makes it a tough rival to motorcycles like Harley Davidson Forty Eight and Roadster. 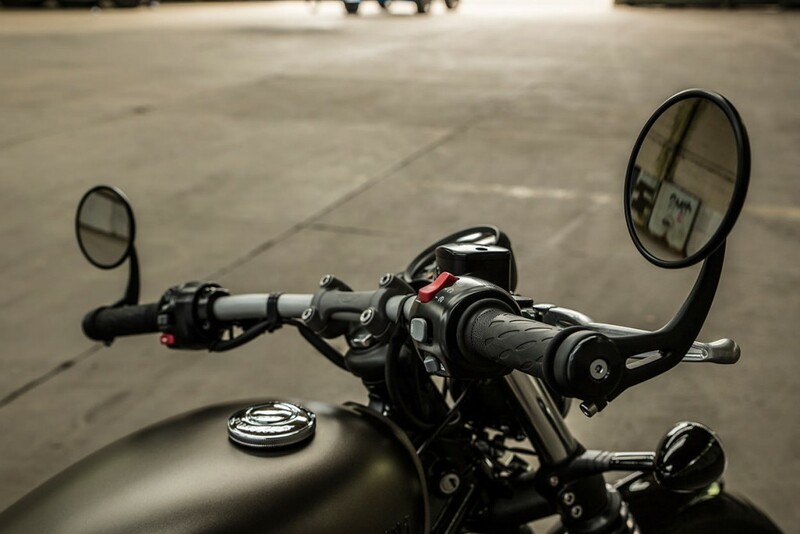 The optional accessories like higher placed handlebar and heated grips make the newcomer an excellent option for all weather riding. 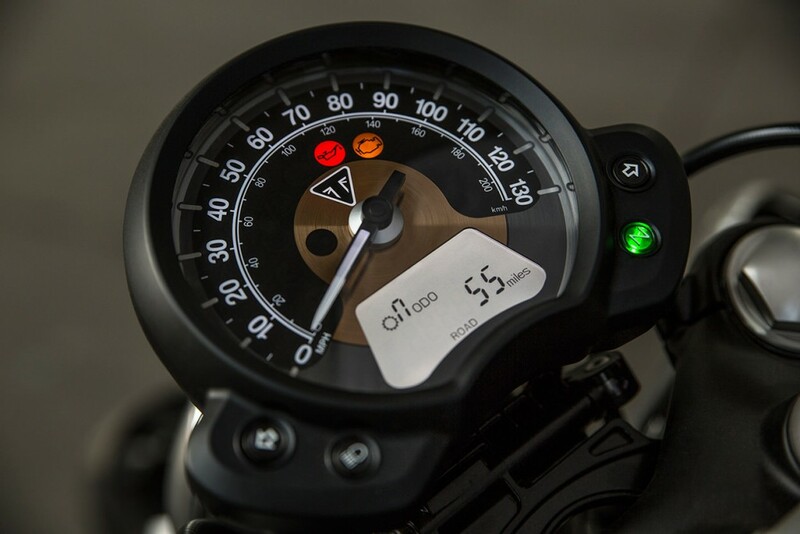 It even offers features like cruise control and instant fuel consumption indicator.